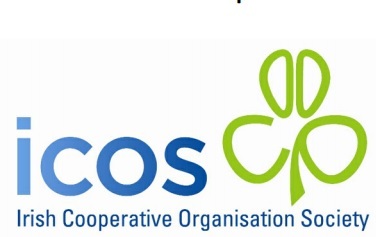 ICOS has said that its recent meeting with Meat Industry Ireland, MII, was ‘constructive’ and a commitment was given by MII to consider and respond to issues it raised. ICOS conveyed the serious concerns of co-operative marts and their 95,000 shareholder members at current measures in place at factories which unnecessarily go beyond the provisions of the Bord Bia Beef and Lamb Quality Assurance Scheme. Factories currently require Irish cattle to reside for a continuous 70-day period on their last farm prior to slaughter. They withhold a Quality Payment System bonus of approximately €50 per animal (as a penalty) if this is not complied with and they also withhold it if cattle have had more than four farm residencies prior to slaughter, even if all farms to which the animals resided are quality assured. Meat Industry Ireland maintains that this is due to consumer requirements whereas ICOS contends that it is a somewhat unnecessary and trade distorting measure. However, yesterday ICOS provided information to Meat Industry Ireland where McDonalds restaurants have confirmed to ICOS that McDonalds do not stipulate any provisions above those of the Bord Bia Beef and Lamb Quality Assurance Scheme. McDonalds effectively does not require any final residency or retention period for cattle prior to slaughter. The national Bord Bia Beef and Lamb Quality Assurance Scheme allows for free movements between any number of quality assured farms during the final 70-day period. It does not require a 700-day continuous residency on the last farm prior to slaughter. This also facilitates the free trade of factory fit animals in livestock marts. However, the meat industry Quality Payment System has led to a situation where mart traded animals do not qualify for the bonus. As a result, the trade in marts, of slaughter fit animals has been greatly reduced, ICOS says. The volume of factory-fit animals going to slaughter via a livestock mart has decreased significantly and there is also an ongoing decrease in the cull cow trade in marts. Since the introduction of QPS, eight years ago, only 2.48% of factory fit animals are now being traded in a mart. The 70-days residency stipulation is also affecting forward store sales in marts. The factory QPS bonus is 12c/kg or approximately €50 per animal. ICOS contends that this may be construed as a form of price fixing for fat stock sales as a farmer loses this payment if an animal has been traded through a mart in the 70 day finishing period prior to slaughter.